Evanston Fire Chief Brian Scott at a meeting. Following the city’s approval of its 2019 operating budget, EFD Station 4 will remain open in Evanston. Fire Station 4 will remain open following the approval of the city’s 2019 operating budget, ensuring service levels and response times will be maintained at the current standard. “We’re very happy that the council was able to maintain service levels to the community,” said Evanston Fire Chief Brian Scott. Aldermen voted 6-3 to approve the city’s 2019 operating budget at a Nov. 19 City Council meeting, granting the city more than $319 million for the next year. The budget, which seeks to fill a projected $7.4 million deficit, was released at the beginning of October and includes a number of expense reductions and revenue increases. The closure of the station was included in the city’s first draft of its budget which estimated a $1.2 million cut to EFD. The cut would have eliminated nine staff positions, the proposed station closure and the resulting elimination of its fire engine. Station 4 — located at 1817 Washington St. — is in the 2nd Ward and services the southwest region of Evanston. Scott told The Daily in October that if the station were to close, he feared the result would be a “cascade effect” throughout the city. Scott said that if Station 4 were to close, the response times in the area currently served would generally have increased by around 50 percent if all on-duty firefighters in the area are available and in station. The current response time in Evanston is on average three minutes and 15 seconds, well below the national average of four minutes. The closure, Scott said, would have added roughly one to two minutes of response time to calls. 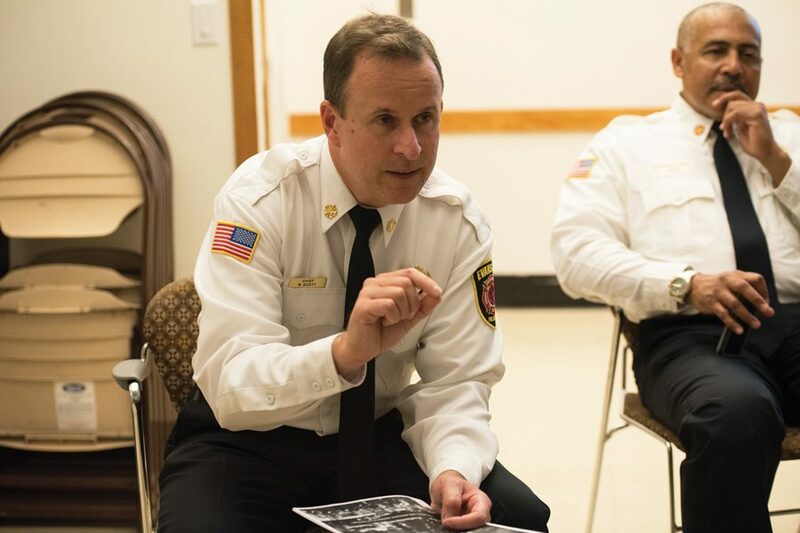 During a Nov. 5 council meeting, aldermen overwhelmingly opposed the possible station closure, referring to the increased response times and also pointing out the fact that many residents rely on firefighters — who in Evanston are cross-trained as paramedics and whose vehicles are supplied with medical equipment — for medical care. EFD’s call volume has increased by 51 percent over the past 35 years, and Scott said he expects it to increase by 2 percent per year moving forward. “There is sacrifice that has been made across the board in terms of programs, as well as for taxpayers, but it’s good work that’s been done,” he said.